Removing the wall that separated the shower area from tub helped in this space in more than just one way. In addition to giving the user more spacious shower area it also allowed for a seat. The removal of the wall now creates a feeling of openness that wasn’t there before. 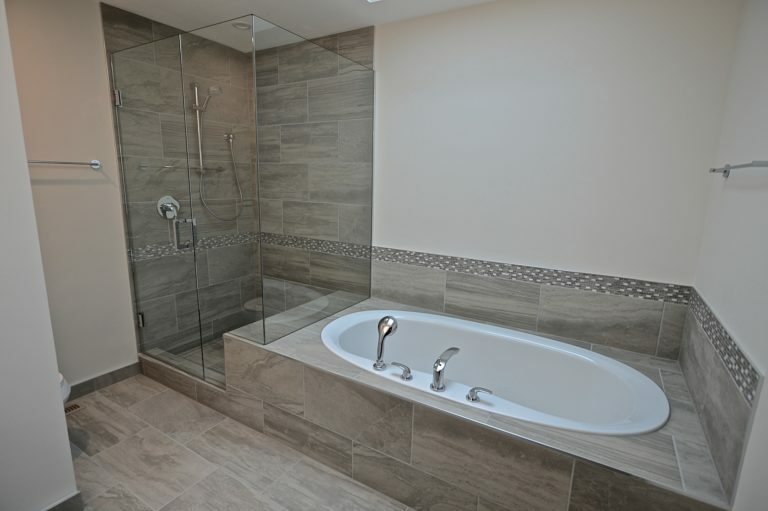 This shower features a linear drain that allows for the same tile used on the floor, walls etc. to be brought into the shower base. The accent tile finished the top of the tub back splash and adds a nice feature to the shower area. 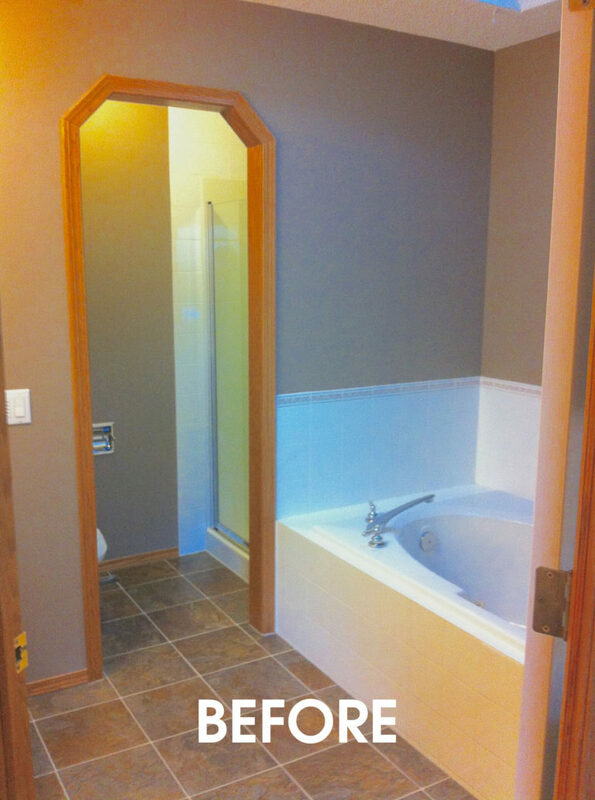 The same trim tile was also used as a backsplash for the vanity top.